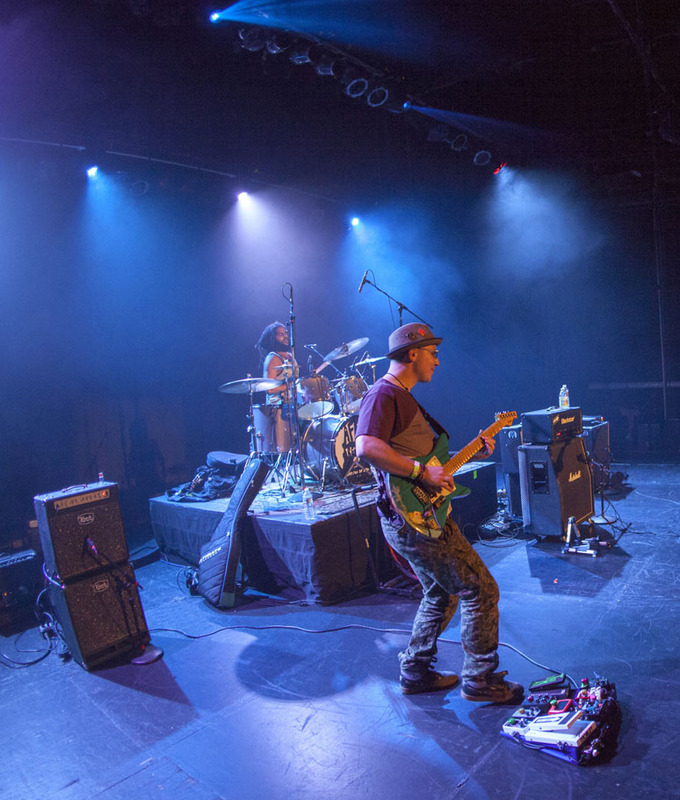 Songwriter/guitarist/producer.Jake Morelli (Bruno Mars, Ed Sheeran, The Roots, Roberta Flack, Jennifer Hudson, Esperanza Spalding) is running fast, clean, and quiet with the PedalSnake-Strymon 24V Method. 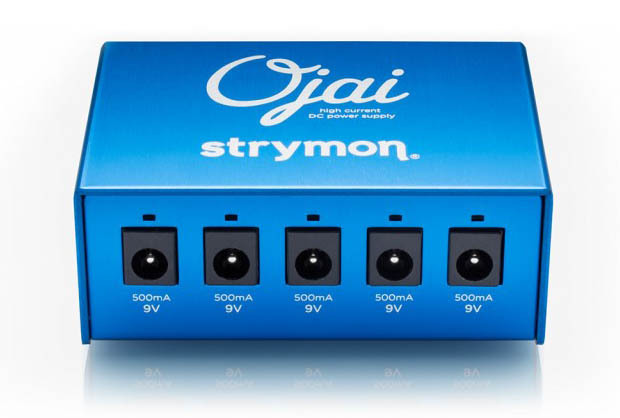 a single 24V PowerLine for his onboard Strymon Ojai R30 powrer supply. All is clamped bulltetproof to using PSClamps the striking hotrod blue Fastback GT pedalboard by ideaBench. 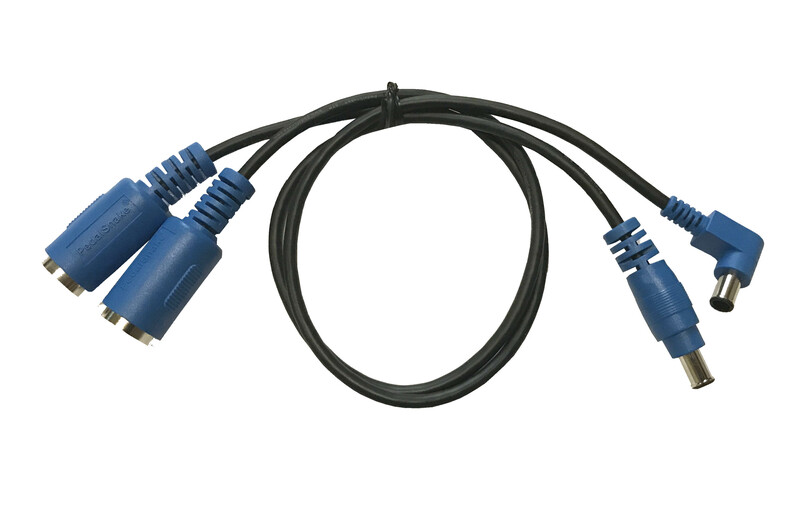 Configure a channel with MM1-24V P-Line Pigtail Kit. 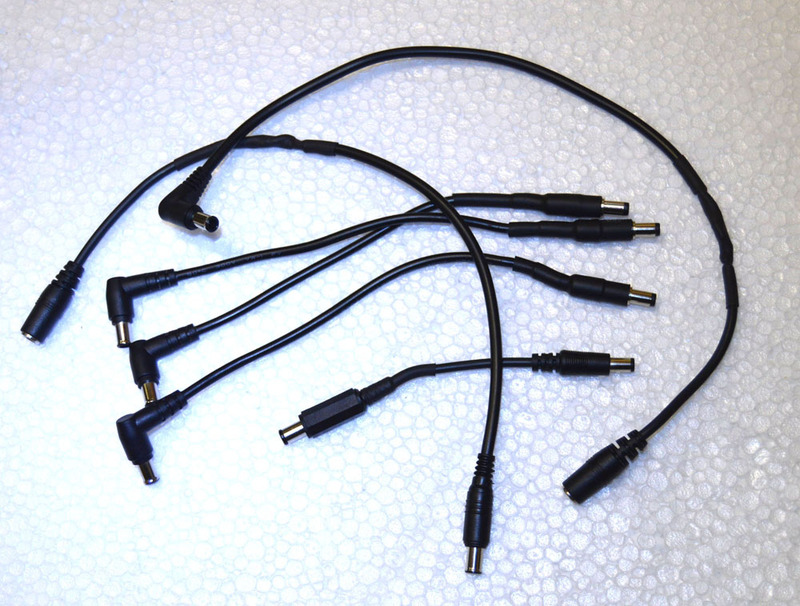 Configure a BaseSnake channel with the MM1-24V P-Line Pigtail Kit. Modify standard 2.1mm PedalSnake P-Lines (PowerLines) to 24V connectors. A Pro-Grade Board-Mounted Power Supply--with No AC Power Cord! This is benefit #1. 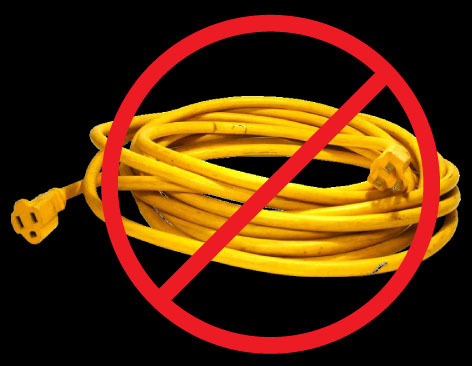 Say Goodbye to the nasty AC power cord, and Hello to quiet DC power. Plus a clean, clear stage, and the Strymon power supplies are the quietest in the industry. Power Anything You Want. Never Run Out of Power. Power 9V, 12V, and 18V pedals. The outputs are powerful: 500mA each. 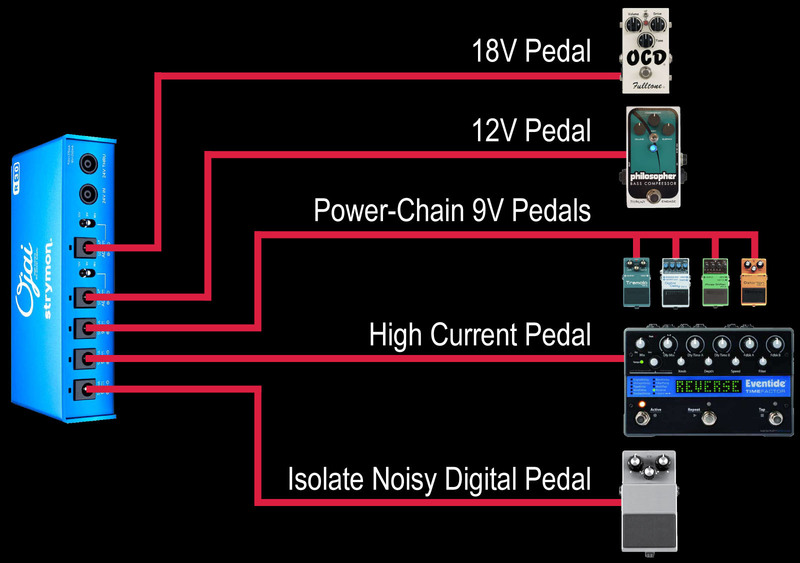 Power chain low-current battery pedals from a single output ... as many as you want! 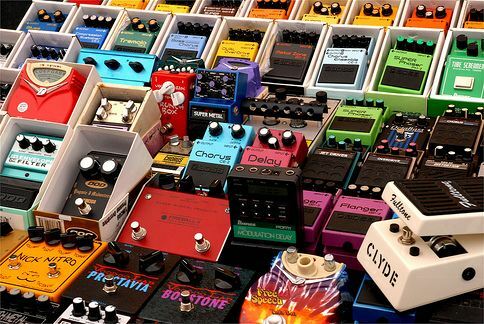 High Current pedals are no problem. 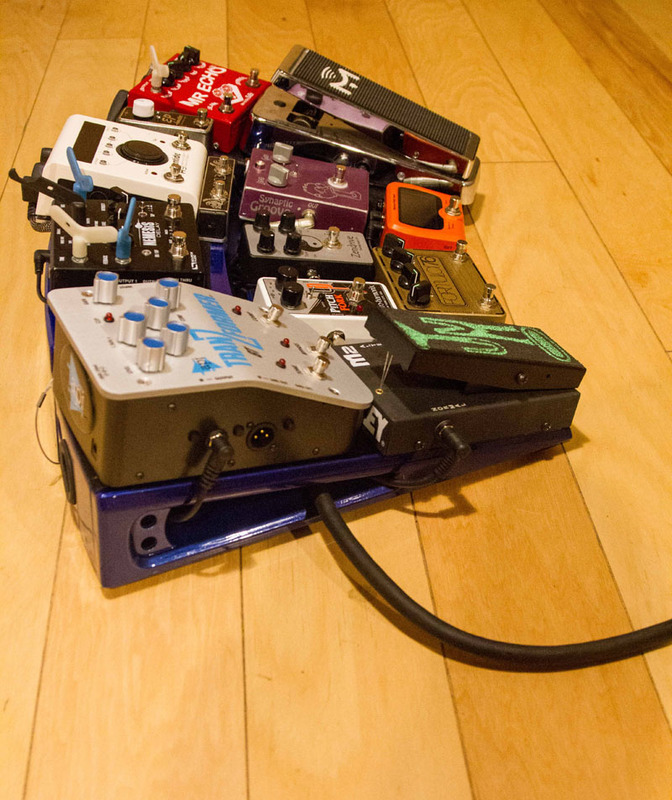 No concerns about how many pedals you power through a single PedalSnake P-Line. Onboard voltage regulation keeps all outputs at steady levels. Never run out of isolated outputs. As your pedal rig grows, additional power units can be chained via the 24V. If you only need 9V, use Ojai. If you also need 12V or 18V, use Ojai R30. Chain as many as you need. A video surfaced of power supplies being set right on top of an "on" wah. This is a clever method for "sniffing" out power noise, because the inductor coil in an ON wah acts like an antenna. When placed right on top of the on wah, another top-of-the-line power supply hears magnetic noise from the wah, but the Styrmon supply is dead quiet. To see this vidoe, Google using these words . strymon vs power hum . and look for a video titled "Strymon Zuma vs Voodoolab Pedal Power 2 Electromagnetic Hum".